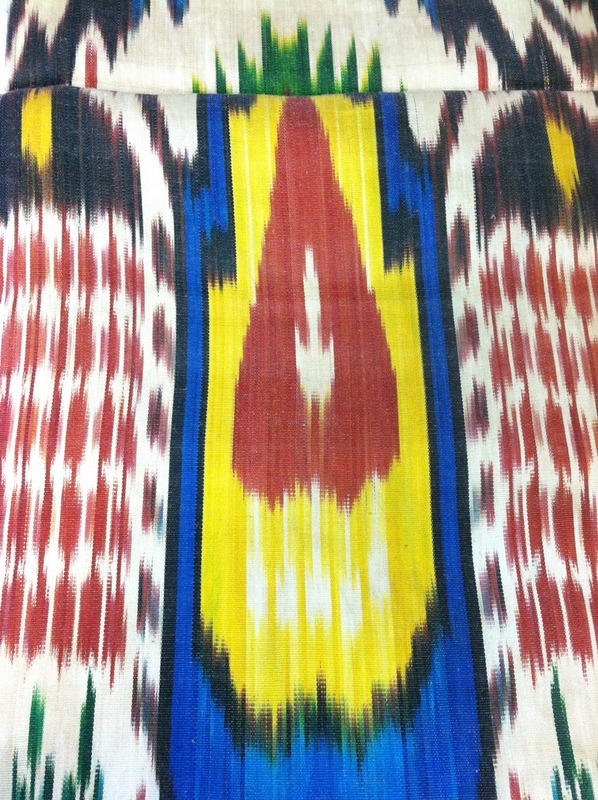 This Ikat fabric becomes a textile painting when hung from a wall or draped over the back of a sofa. 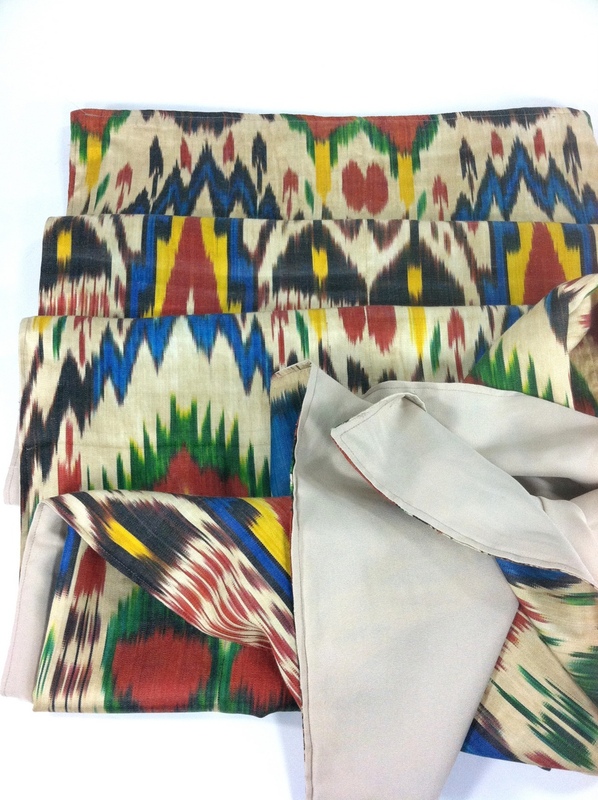 The art of Ikat dyeing is an early form of textile making. 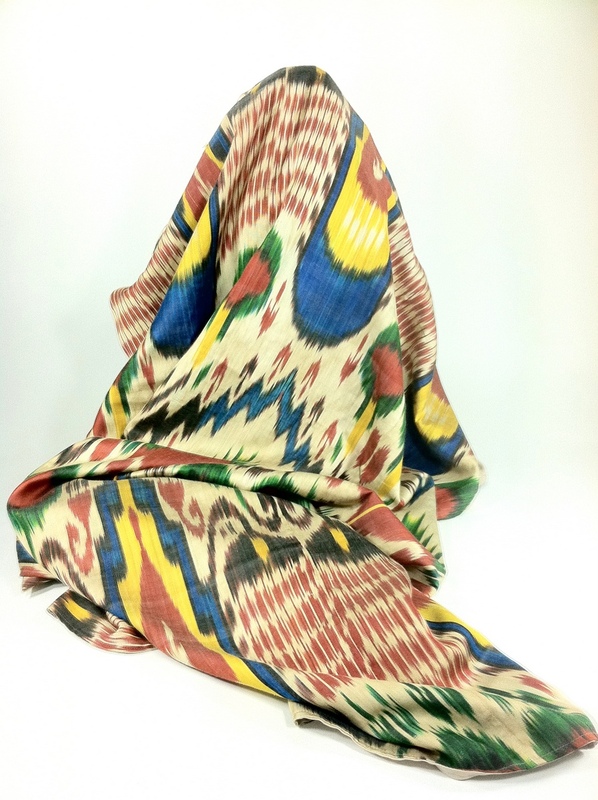 The explosive color and inventive patterns make a dramatic statement. 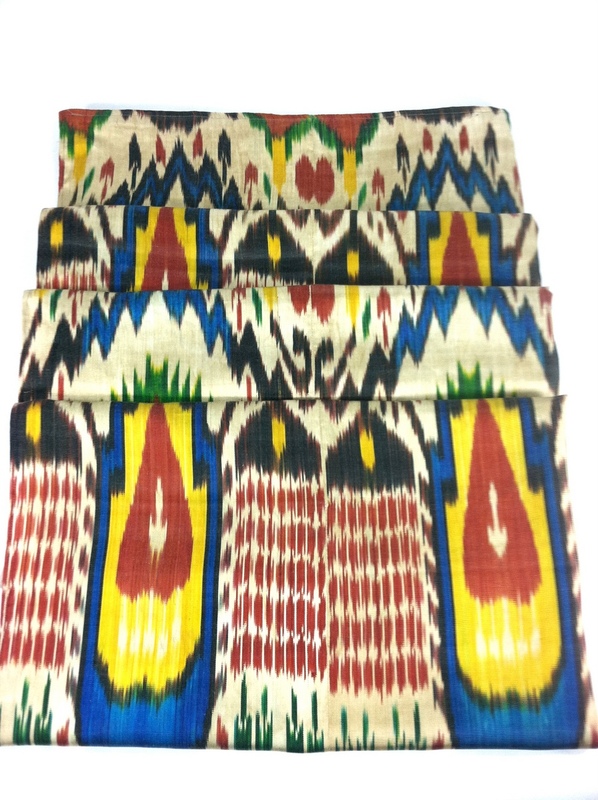 This wall hanging has 5 panels, each woven on a narrow loom, sewn together and then fully lined. One of our favorites! L 5'6" x H 6'11"